Following the success of 1 EP late last year, which promptly sold out all 300 vinyl copies (however, the EP is available digitally via Bandcamp), new Stockholm-based artist/producer/DJ Evigt Mörker returns with 2 EP. Consisting of three new, exquisite instrumental pieces, 2 EP captures the very essence of what ambient techno is about. That the English translation of Evigt Mörker is Eternal Darkness should be your first clue for what’s instore here. If not, explore Evigt Mörker’s Soundcloud page and you’ll find an engrossing, journeying, and beatless, 54-minute dark ambient mix. Evigt Mörker manages to harness that atmosphere and mood from the aforementioned mix and fuse it with techno. 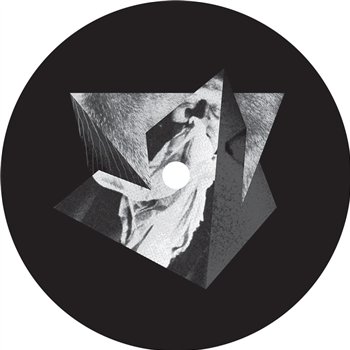 Fans of deep, dark techno ala Drumcode (think Adam Beyer and Nicole Moudaber) are sure to enjoy 2 EP. Solely in terms of atmosphere, it’s also worth mentioning the brilliant Holy Other. The epic, 13 minute opening track Sol som får tidens hjul att stå stilla is a deeply hypnotic, atmospheric tune that’s heavy on reverb and delay. Built around minimalist instrumentation, constant breath-like pumping, and swirling ambience, a subtle change occurs around 9:00 with the arrival of ghost-like, almost-ethereal / almost-rave, synth “melodies” which emits hints of euphoria. Simply sublime. Epikles and Nixa both ramp up the BPMs with the latter sounding very much part of the Drumcode roster. Aside from the deep, kick-pulse that propels both tracks forward, Epikles and Nixa feature a collage of shimmering, extending-then-retracting, glacial, and metallic ambience where melody is slight. With they “lack” in melody, Epikles and Nixa make up in their hypnosis and atmosphere. Overall, 2 EP is darker and harder than the first Evigt Mörker EP. Where a track like Högre from 1 EP showcased melodic, cascading arpeggios, as well as some chill-out qualities, 2 EP sends the listener straight down to the basement dancefloor. One of the best finds of 2014. Brilliant stuff. 2 EP was released on 1 September, 2014 and is limited to just 300 copies.